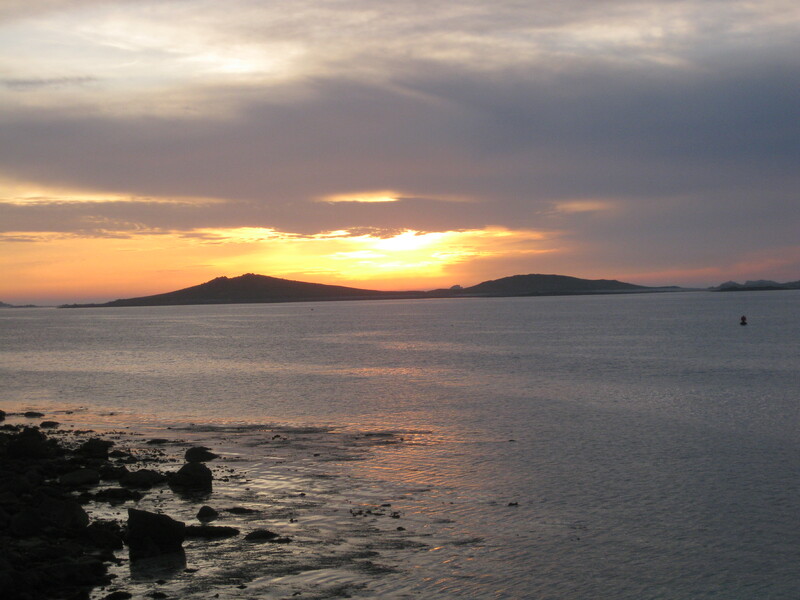 Inspired by Scilly: Tennyson, and Walter Besant. Sunset in Scilly, over mysterious Samson. Scilly, yes, Scilly. I’m having a confusing year (I’m not confusing myself, only other people) by taking journeys to Sicily and Scilly, after years of telling people, No, I’m not going to Sicily, but rather closer to home. The Isles of Scilly are tiny fragments of granite, 28 miles southwest of Lands End, not a great big fragment one mile off the toe of Italy. They are minute and perfect, and I’ve been coming here regularly for over 30 years, because I happen to think this is about the most beautiful place in the world. So, here I am again, in my usual little hidey-hole, where I can hear the wind rattle the roof and the waves crash on the sea wall, and where the broadband waxes and wanes with the tides. Usually when I visit a place that I love I devour everything I can find about it, fiction and non-fiction. Beautiful places inspire creative writing, however a repertoire of novels set here would not spark much recognition among readers, with one possible exception (Michael Morpurgo’s wonderful novel Why The Whales Came). How come, I wonder? This is a land of legend, the lost land of Lyonesse, which may or may not have existed in its larger form (one version, the Cornish Lethowsow, has it a whole vanished land between Scilly and the tip of Cornwall; though Jack Vance’s Lyonesse misses Scilly altogether), and certainly does still show the evidence of a drowned land in the centre of the archipelago. Prehistory is everywhere – islands inhabited and uninhabited are crested with ancient burials in barrows, kists and chambered tombs, shores are lined with field systems and excavated villages, from neolithic to romano-british. From the sixteenth century it has been recorded as both a haven and a killing-ground for sailors. Four of the five main islands and the smaller isles in between used to form a single larger landmass, so that field-walls extend into the sea, and at the lowest tides it is still possible to walk/wade between the islands. There was a smaller island to the southwest, the remains of which form St Agnes and Annet, separated by a deeper channel, and the whole is ringed by jagged rocks, the trap for unwary navigators to within living memory and the arrival of Decca Navigator (and even that did not prevent the crew of the channel-bound freighter Cita setting the autopilot towards the Wolf Rock, missing it and landing up on the south coast of St Mary’s in the spring of 1997). The possibilities are endless, and the chance to imagine a land of shipwrecks and heroism, of ancient kings in the setting sun is there for the taking. I’m staying at the wonderfully named Tregarthen’s Hotel, founded in the 19th century by Captain Tregarthen, whose steam packet the Little Western pretty well started the tourist trade to Scilly. This place has a strong literary association – the garden has a plaque stating that Alfred Lord Tennyson stayed here, and spent most of his time in the garden composing the poem Enoch Arden. The hero is a merchant sailor, who sails away from his wife and children, never returns and is presumed lost. After ten years he comes back and finds his wife remarried and his children being provided for by her new husband. So great is his love that he never reveals himself to them, but dies of a broken heart. Little wonder that this place, shaped by the sea, and knowing its fair share of men who sailed away and never returned, inspired him to write it. Shall I drop a name? Why not – I’m on my holidays. When Sir Patrick Stewart was only a little less well-known than he is now, he toured with the pianist Emanuel Ax, giving the musical recitative version of Enoch Arden with piano accompaniment by Richard Strauss. I was able to catch this in London, and in my one and only episode of queuing up for an autograph I asked him to sign my CD and told him all about Tregarthen’s Hotel garden. I still tremble with embarrassment to think of it. But I have my signed CD. 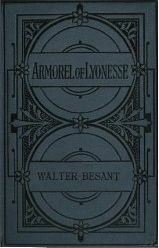 A contender for The Great Scillonian Novel is Armorel of Lyonesse: A Romance Of Today, by Walter Besant (1890). This too has strong associations with Tregarthen’s Hotel. It contains a vivid description of the bar where locals and visitors met to drink and smoke in fuggy companionship, and describes a settle which is still there, complete with plaque, in the sleek, smoke-free 21st century lounge. The novel is 100% of a period piece now, and a bit of an acquired taste – but there is so much about it that I find fascinating, because I know its setting so well and I love it as much as the author evidently did. It wasn’t written as a historical novel, but as a contemporary romance in and of the 1880s. If it had been written today, one would say it needed a good edit – so many passages of Fine Writing, so many images that the author loved so much that he had to go back to them. The start is a cracker (once you have struck out through about 10 pages of Fine Writing to get there) – 15 year-old Armorel Rosevean, who looks 20 and acts a mature 40, lives in the only remaining household on the island of Samson, with her 100-year-old great-great-grandmother, who hoards possessions of great value that have brought a curse of drowning on her children and grandchildren. Armorel, whose time to be drowned has not yet come, mercifully, knows every rock, shoal and current of the archipelago, and so is the saviour by a feat of daring seamanship of two foolish young men, trippers from London, whose little boat is about to be dashed to smithereens on a reef. As teenaged Armorel is a bit too young for romantic attachments, she has to be parted from her new-found Roland (one of the foolish young men) for a while, so Besant manages that – and how! Less than a third of the novel is spent by Armorel in the beautiful islands of her girlhood; the rest is spent in London, in a breathless, preposterous (in a good way) melodrama involving an inheritance for Armorel, who as well as handling a mean dinghy is also completely presentable in polite society, and Alec and Zoe, evil, conniving villains who steal, not just money or treasures, but artistic and literary reputations, including that of budding painter Roland. (Why do Alecs get such a lousy deal in literature? I’m sure in Real Life, the fine, decent, upstanding Alecs far outnumber the wrong ‘uns.) The coincidences and overlapping circles would do justice to Dan Brown and his sincerest flatterers. 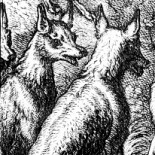 The villains thwarted, Armorel breaks the curse, and returns to her beloved Samson and her true love. Does this novel travel? I’m really not sure – I must try it at home. What’s not to love, though, about a novel that embraces wrecking, a family curse and a tainted inheritance, London’s polite society, artistic fraud and the gorgeous landscape of Scilly, lovingly described? Having looked up Walter Besant, such a prolific author, I think he was a thoroughly good egg, though I’m not sure how tempted I am to read any more of his novels, even more lost in the mists of changing tastes than Armorel is. But I can forgive him anything – anything – all the longueurs, all the Fine Writing – for the scene where Armorel the heiress escapes her dastardly would-be seducer by grabbing an ornamental axe that just happened to be in his study and chopping her way out through the locked door, with a bemused manservant looking on from the other side as she smashes through it. I’m sorry if you think this is a bit spoilery, but, you know, I’m reading this thing so that you don’t have to…. Available to download from Project Gutenberg in a range of ebook formats. Oh bliss. Thank you for reading it so we don’t have to, and for telling us the good bits! Are there any more? This was an absolutely lovely review, with the marzipan icing of your vacation spot, a place I’d barely heard of. I must look up that Tennyson poem, it sounds terribly sad though.And I’m pleased that “Armorel…” is on Gutenberg books, yay! I bet Leena would like that one. Thanks for such an all around splendid piece! Thank you both! Kate, there are many more good bits, but I was hoping that this might be a bit of a teaser rather than a spoiler. After all, it’s a poor sort of romance where the heroine does not find her virtue under threat from a cad called Alec – it was just the means of escape that tickled me. If only Tess could have laid hold of a handy axe, eh? Otherwise, the plot twists are so twisty that this novel could hide behind a corkscrew, so I (sort of) recommend it! Inspired by you, Kate, I’ve been reading Mary Stewart while on holiday too, and it has occurred to me that she was writing romances very much in the same genre (though she does crack on more effectively than Besant, who had three volumes to fill). Touch Not The Cat has so much more in common with Armorel than I expected – suspense and danger, as well as romance; something vaguely supernatural (sixth sense, a curse); the setting is beautiful and mysterious and steeped in history; all the characters are related to one another, though some don’t know it; and there is a rare and precious object as a macguffin. I has surprised and delighted to find this! It’s a genre that needs to be revived, in my humble opinion. We read ‘Why the Whales Came’ with our children (now grown up) and they wanted to see where it happened. So we had a holiday in the Scillies, and fell in love with Bryher. (As a bonus, Michael Morpurgo himself was at a fete there when we first visited.) We must have stayed there a dozen or more times now. The demise of the helicopter has been a bit of a downer though – my wife doesn’t get on with small planes – or the Scillonian boat, after one particularly rough crossing. Good to hear about the other literary associations – thank you. I wrote a bit on my blog about Thomas Hardy and the Lyonesse connection in my own blog, after visiting the Hardy haunts in Cornwall last summer. This entry was posted on June 12, 2014 by Hilary in Entries by Hilary, Fiction: 19th century, Fiction: romance and tagged Armorel of Lyonesse, Enoch Arden, isles of scilly, Samson, Scilly, Tennyson, Tregarthen's Hotel, Walter Besant.